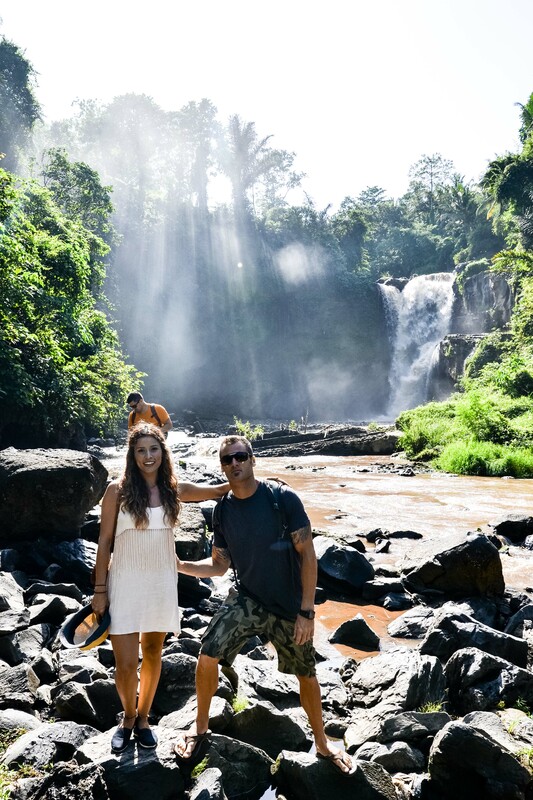 When we weren’t eating our way through Ubud, we wanted to check out the rest of Bali. So, we hired a fabulous driver and guide, Ade (contact info below), and spent a day seeing the sights. 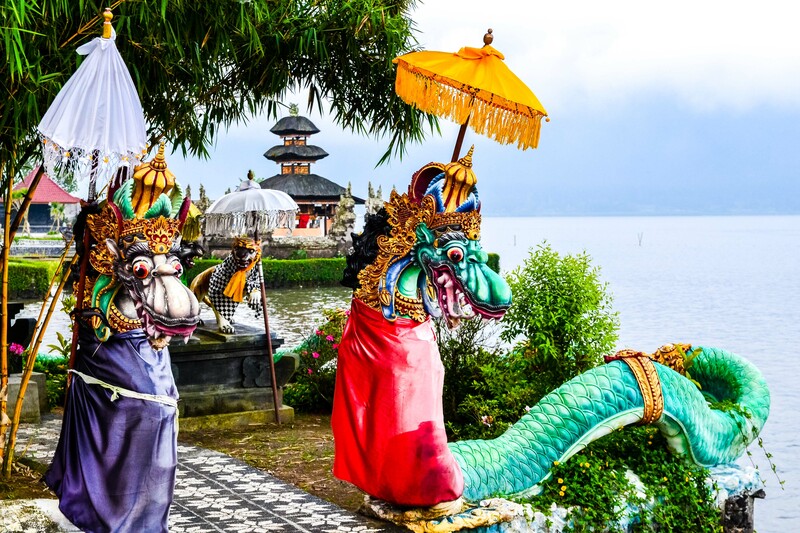 Here are a few of the highlights you may want to consider when exploring the island of Bali. This does not include my beach recommendations for the Bukit Peninsula which are a MUST for any beach lovers! 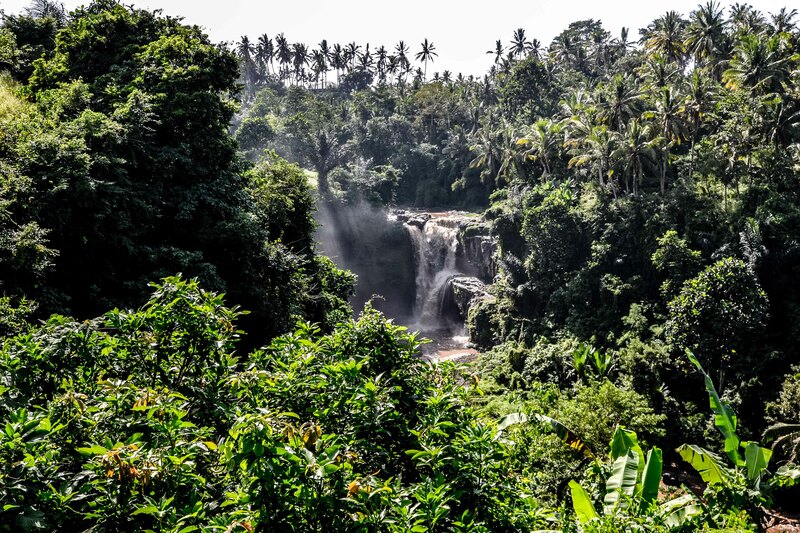 I was impressed with the Tegenungan waterfall , given it wasn’t rainy season. You could hear from the car park. The water was unusually dirty from a recent storm and the short hike down to the base made it even more impressive. They’re not cats, they’re Luwaks. More like a ferret. Also known as the Asian palm civet, this “cat” is crucial to the creation of the most expensive coffee in the world (prices reaching $700 USD per kilogram). Kopi Luwak is coffee prepared using coffee beans that have been subjected to ingestion and fermentation in the gastrointestinal tract of this Asian kitty. They eat it, poop it out, and then it’s “harvested”. Sadly, this means these animals are now essentially slaves, locked in cages being fed the beans as part of the production process. Frankly, I found this place depressing and the preferred the ginger tea. We opted for the out of town rice patty fields vs. Tagalalang, the “Julia Roberts” location from Eat, Pray, Love which is closer to Ubud. Later in our trip we went there too, so I’ll include those photos as well. You can ask your driver to take you to either. 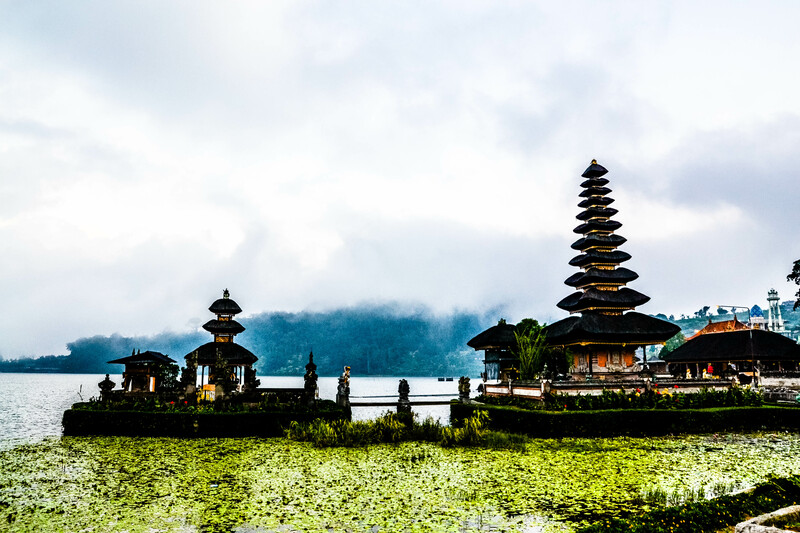 Pura Ulun Danu Bratan, on Lake Bratan is one of the most recognizable images of Bali. 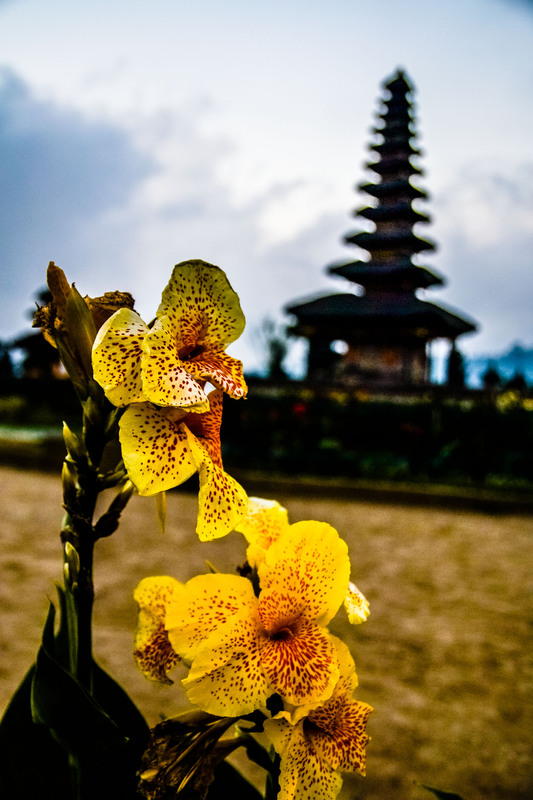 The tour operator told us we “haven’t seen Bali” until we’ve seen this temple. I disagree, but it was still lovely. My favorite part was actually the amazing gardens neighboring the lake, I must have taken 40 photos of orchids. Despite our friend Dakotah buying the special something to propose to his love Crystal with (she said YES!) – I wouldn’t recommend this place. If you really want to buy some Balinese silver I think there are cheaper options. One benefit is that you do get to see them melt, mold, and shape the silver in a demonstration when you arrive. And lastly, the hotsprings. No Bules here! Just us and 30 local Indonesians, soaking in the mustard yellow waters of the hot springs pool. Don’t wear a good suit!! Sadly, I have no photos but we had a blast and it was the highlight of the trip. Ade even joined us for a soak in the “private” rock tubs over looking the river. Bring clothes you can easily change in/out of since the changing rooms are pretty grubby. 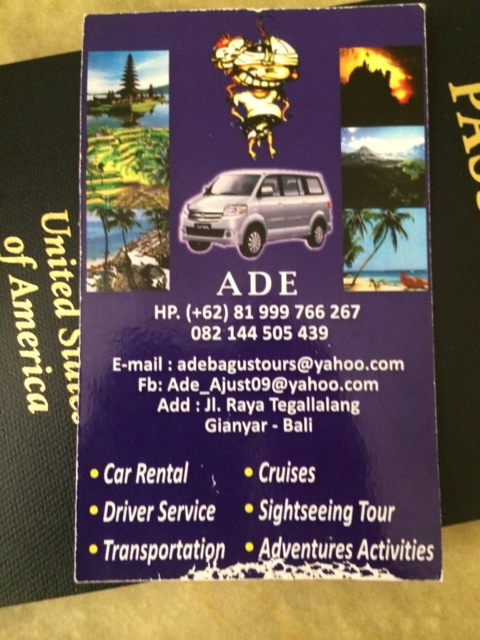 If you’re interested in a day trip around Bali, I recommend you call our driver Ade, and make arrangements. Tell Ade what you’d like to see and he can make a custom route. I wish we’d seen the volcano and gone to the village craft market! Guess we’ll have to save it for our next visit to Ubud. Enjoy! I think I stick with my Earl Grey! Hi! 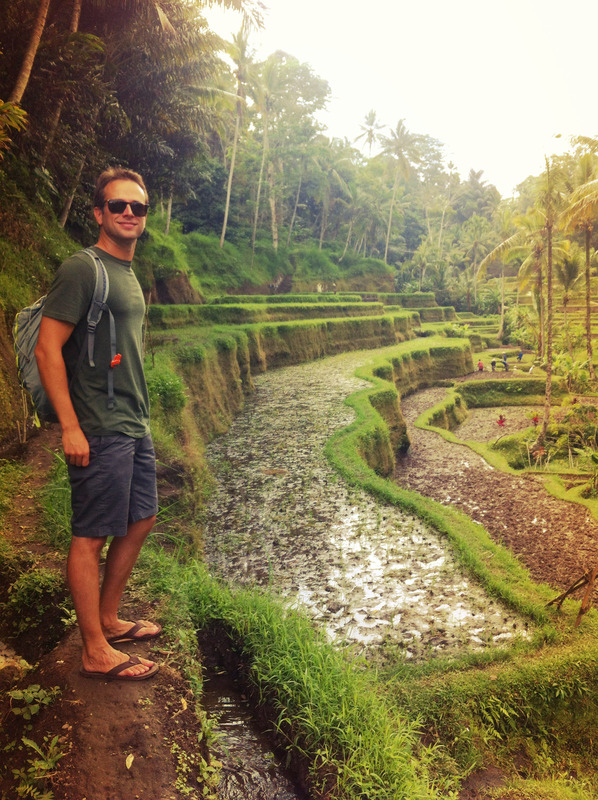 I love you posts about Ubud. My husband and I are here now and pretty much following all your suggestions for beaches, food, etc. LOVE! but where are the rice fields? We visited the Tagalalang Rice Patty Fields, but it wasn’t too impressive. Maybe we visited the wrong area. Haha do you know where it is? 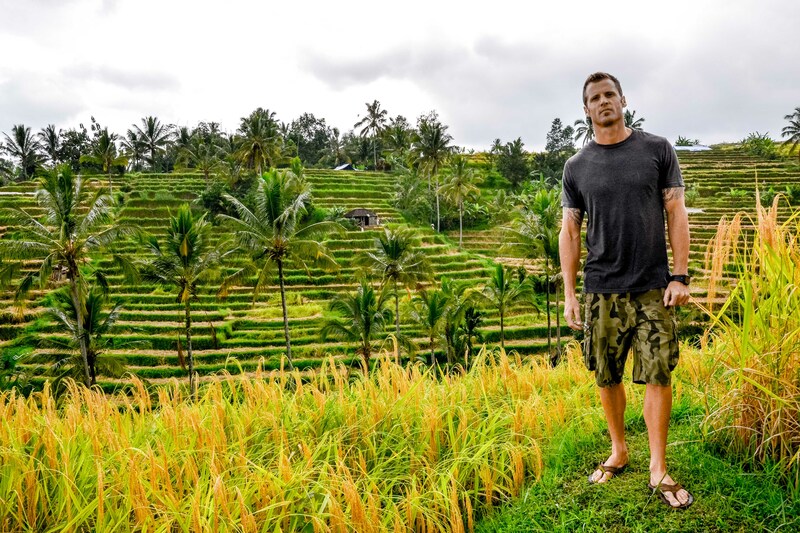 Thanks for all your postings about Bali. I’m in love with your blog!